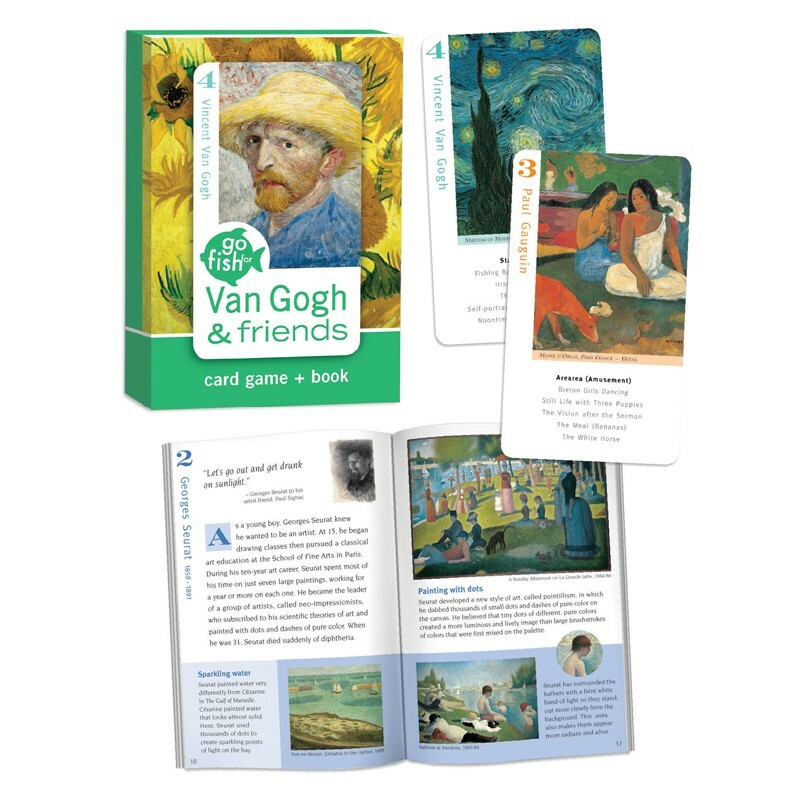 In this educational version of a favorite card game, players “go fish” for art by six of the most beloved artists of all time: Van Gogh, Gauguin, Cezanne, Seurat, Rous-seau, and Toulouse Lautrec. Includes 36 playing cards plus a 36-page companion fact book. Ages 6 & Up. n this educational version of a favorite card game, players “go fish” for art by six of the most beloved artists of all time: Van Gogh, Gauguin, Cezanne, Seurat, Rous-seau, and Toulouse Lautrec. Includes 36 playing cards plus a 36-page companion fact book. Ages 6 & Up.